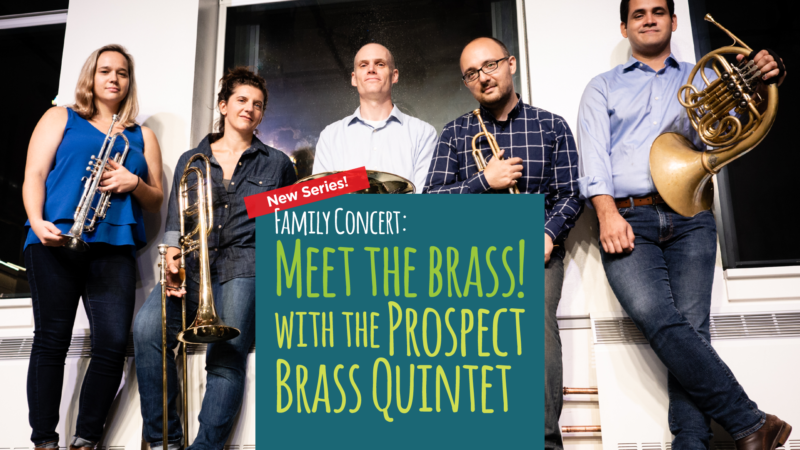 Family Concert Series: Meet the Brass! Ever heard a brass quintet play like a rock band? For the first time, BKCM is proud to present four family concerts devoted to music education, interaction, and fun. Listeners of all ages (even parents!) will stretch their imaginations as ensembles perform and demonstrate all that their instruments can do. Join us for a great family outing with music, crafts, and friends. This program will feature the Prospect Brass Quintet, a new local ensemble made up of instrumentalists from all corners of music, including jazz, classical, and world music, film scores, broadway, and more. Its members have performed at many legendary institutions worldwide, including Carnegie Hall, Lincoln Center, the Sydney Opera House, and of course the Brooklyn Conservatory of Music.